Brands are already discovering the power of IGTV for themselves. 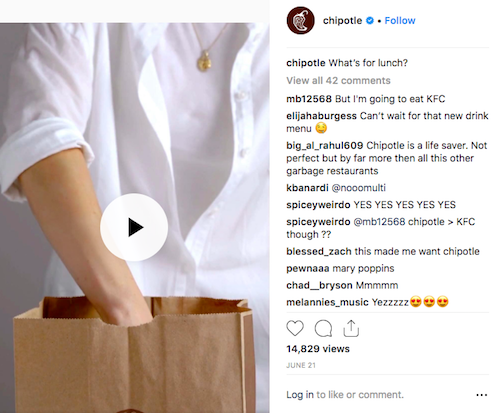 Chipotle used the IGTV format to engage their audience with a video of their delicious food. Instagram already had a video content creation option available in the form of short, auto-deleting Stories. However, the new IGTV channel gives marketers the opportunity to expand into longer video content of up to an hour that doesn’t disappear. Well, let’s look at the demographics for Instagram. Around 59% of IG users are between the ages of 18 and 29. As the rise of streaming services like Netflix shows, younger people love watching streamed content and vloggers on their phone. Instagram is now competing with YouTube to let vloggers create videos for the vertical screen format. Use IGTV to broadcast exclusive content, like Louis Vuitton did here, showing their new Spring/Summer line. Share exciting news and upcoming changes for the brand. Create a series of videos or how-to content to delight and inform users. 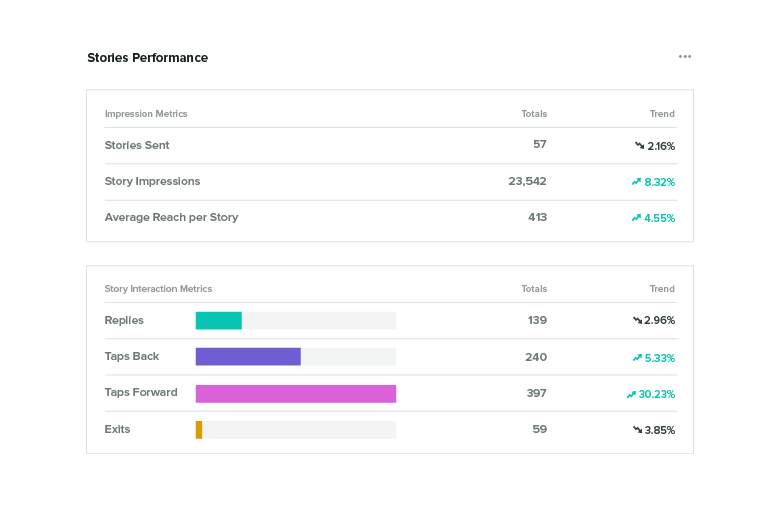 Remember to track the performance of your IGTV campaigns to tailor each future video to the preferences of your audience. Sprout Social’s advanced social listening options will help you find out what people are saying about the topics you plan content around. Instagram Stories currently make up a vital component of any IG marketing strategy. With around 300 million active users per day, it’s safe to say that people love their Stories. Stories Ads: Stories ads insert promotional banners between the slides of other people’s stories. Just make sure your ads look fantastic and target the right people to deliver relevant ROI. Stories Reshare: Cross-promote your regular posts on Instagram Stories. Instagram began testing a reshare feature in September 2018. This could be an ideal alternative to the time-consuming option of having to screenshot content to share it in your Stories. If this feature fully rolls out, you can use it to drive attention to a new campaign or highlight your followers’ related content. Stories Polls: Since social media marketing thrives on engagement, Stories Polls are one of the best Instagram trends 2019 has to offer. Ask your customers questions, track their answers and even direct them to your website with links inside your story. Instagram Stories have their own engagement metrics, including replies, exits and taps forward or back. Sprout Social offers Instagram Stories reporting features, so you can track each of your new Stories solutions resonate with your customers. With Instagram Stories now twice as big as Snapchat, it’s time to find your narrative. With the rise of features like Stories polls transforming today’s Instagram marketing trends, it’s no surprise that “engagement” is the name of the game. For years, social media marketers have been using customer personas and other details to improve their chances of engagement. The more you know about your audience, the more likely you are to connect with them. In 2019, Instagram will be delivering even more ways to build on those connections and pave the way for brand loyalty. The emoji slider: The emoji slider is just one of the latest updates to hit Instagram Stories. Acting similarly to a poll, the slider allows users to decide how much they like or dislike something with an animated emoji. The feature both drives action from your audience and gives you useful information about the people you’re connecting with at the same time. Frequently asked questions: Ever wished you had a better way to answer all your customers’ most pressing issues? Now you do. Answer questions in your Instagram Stories, then showcase your FAQ on your Stories Highlight section. Recently, Instagram has been growing increasingly more attractive for businesses, sellers and ecommerce brands. Advertising on the platform has risen to a new level as companies discover that 70% of Instagram users use their mobile to purchase products online. Shoppable Posts continued to expand in 2018, with support in more countries and through more formats, including Stories. Instagram is a perfect platform for showing your best-selling products in the most attractive light and allowing your customers to easily purchase directly through a familiar platform. It’s the ultimate way to streamline your audiences’ path to purchase. Helping your customers buy from you through Instagram is probably the best form of engagement available. 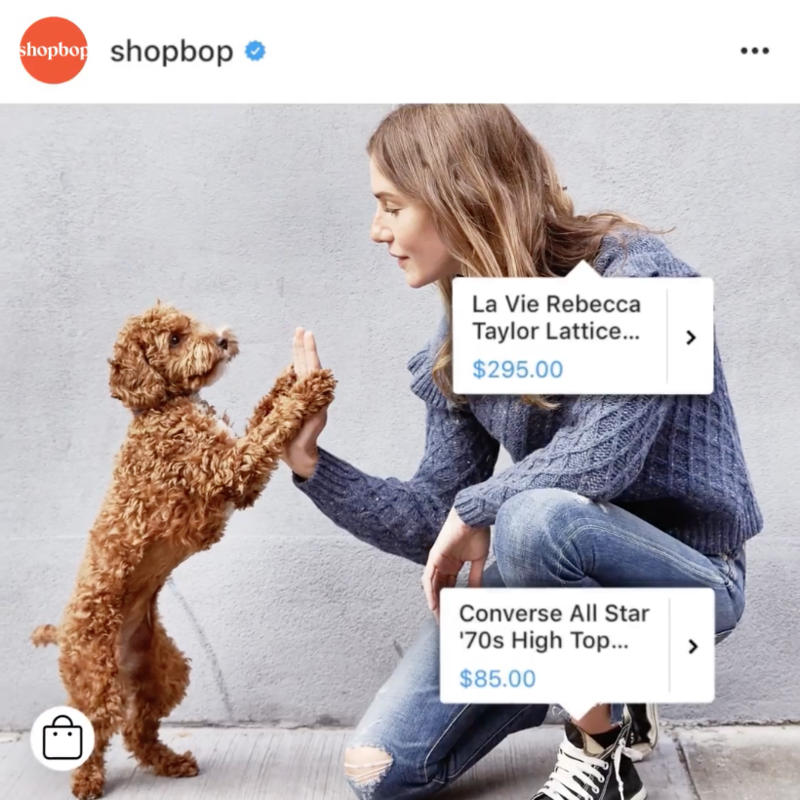 Shoppable posts on Instagram Stories and static images make eCommerce on the platform easier than ever. By tapping on the “Shop Now” button, users will be transported automatically from your Instagram page to a product page on the seller’s website. Shoppable posts have been around for a little while now, but as the platform continues to grow and add more content formats, they’re still sure to have an impact when it comes to the Instagram trends 2019 has to offer. At first glance, Instagram looks like a marketer’s dream come true. As the platform grows increasingly popular, the 1 billion user count is sure to capture your interest, particularly since 42% of Instagrammers earn over $75k per year. Of course, the more people there are on Instagram, the more competition you’ll have to face and the more clutter you’ll need to get through to reach your audience. Combine that with the fact that the Instagram algorithm evolved to concentrate on more “timely” posts in March 2018 and today’s marketers need to work even harder to stay ahead of the game. If you want to connect with people on Instagram in 2019, then you need to embrace the concept of paid posting. Around 8 out of 10 users follow at least one business in 2018, and the channel is likely to grow more congested in the years to come. Fortunately, you can improve your chances of success by exploring the benefits of promotion. Check out your aggregated reach data on Instagram Insights. (You’ll need a business account to do this). Expand the scope of your reporting with tools like Sprout Social. 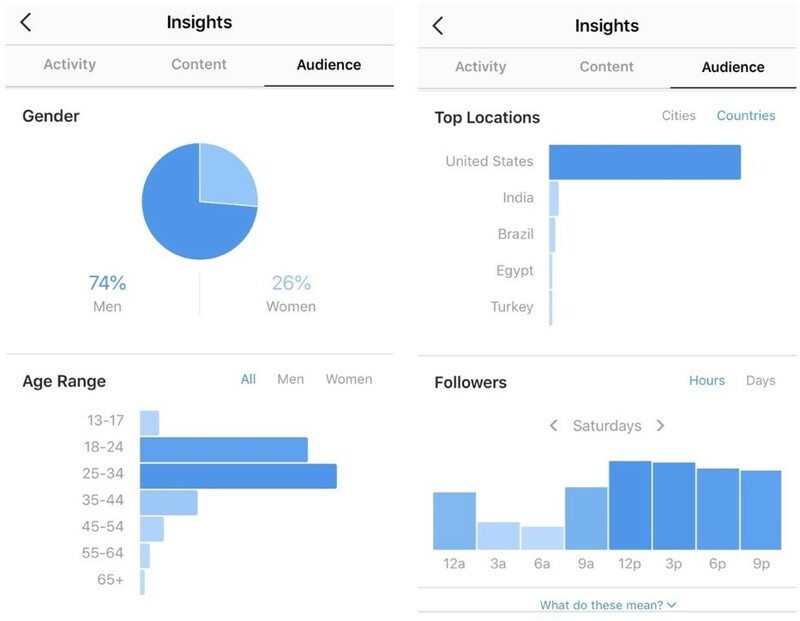 Track your promoted Instagram posts carefully and use A/B testing to determine which pieces of content deliver the most conversions and engagement. While organic reach may not disappear entirely in 2019, it will become much harder to maintain high engagement without a paid strategy. Are you up to date with what’s #trending? Instagram grows more attractive to both businesses and consumers every year. However, unless you adapt to the changing trends of the platform, you won’t be able to keep up with the needs of your target audience. Though it seems tough to stay ahead of an ever-evolving social media channel, a little commitment and the right social tools ensure that your Instagram budget doesn’t go to waste. What are the best Instagram marketing trends you’ve seen this year and what do you predict for 2019? Let us know in the comments!